Bitcoin is stubbornly holding onto support at $6,000 despite a panic sell-off in the rest of the cryptocurrency market. This is a positive sign. 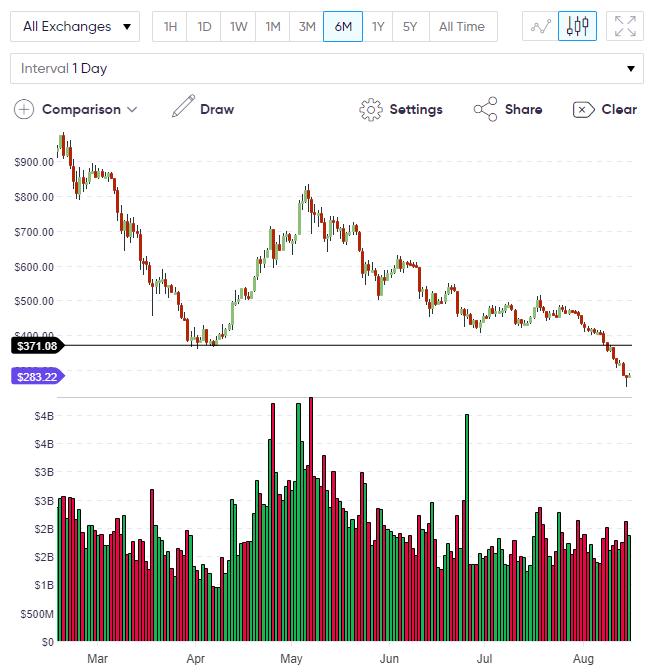 The price of Bitcoin has hardly moved from its early week levels, yet this is a positive sign as a wave of selling has damaged the short-term outlook in many cryptocurrencies, with Ethereum still one of the worst performers. The additional wave of selling has thwarted any rally in BTC but it's only Wednesday and when this selling discontinues, which may be today, a relief rally could be seen in the market. 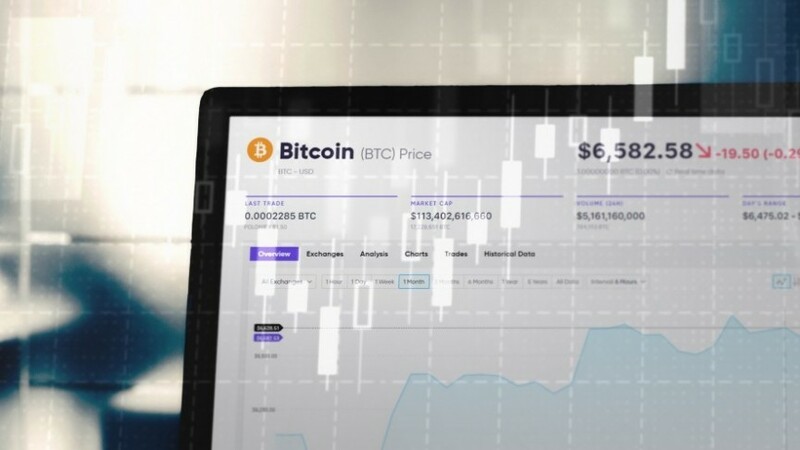 As buying interest has kept BTC strong in relation to its peers, this would outperform to the upside, however any rally would likely be capped at $7,000 as we await the SEC decision on a ProShares Exchange Traded Fund (ETF) next week. The outcome of that decision will define the next direction for BTC. The mainstream media are performing their jobs well with articles about cryptocurrency panic. This scares the non-cryptocurrency converts into staying away and shakes out the weaker long positions that fear further losses. When sellers outweigh buyers, that sets the stage for a strong rally. In market news, Axoni, an enterprise-focused blockchain has raised $32 million in a recent funding round and the investors are notable, with a host of Wall Street firms making an investment. Goldman Sachs, JP Morgan and Citigroup are among the investors. Axoni is seeking to integrate blockchain software into the complicated systems that exist within the world’s largest financial institutions. This is likely to be more of a back office infrastructure play, but it is another sign that corporations see a future for blockchain. Ethereum has been one of the hardest hit cryptocurrencies after falling to a nine-month low under $300. After reaching a low around $250 yesterday, bounced before the close and now trades at $283. If we look at Ethereum on a weekly level, the price action should come as no surprise. 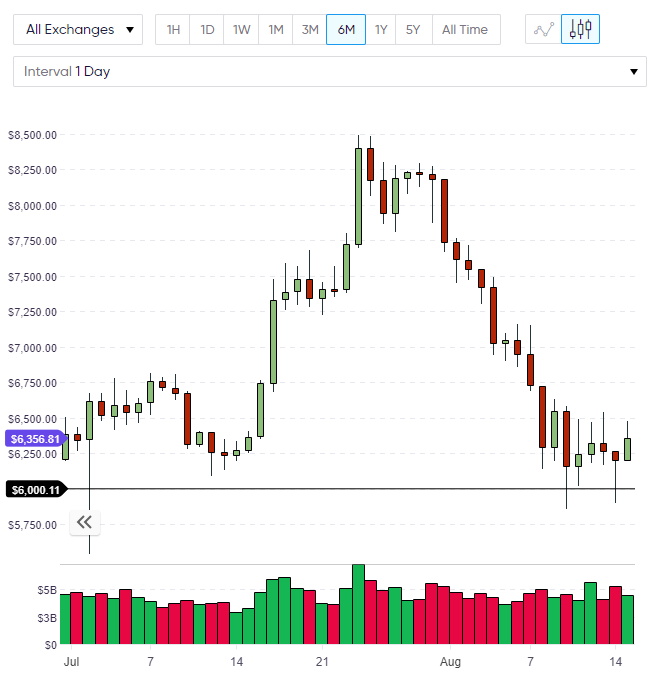 Ethereum has failed to hold onto any rallies in recent weeks and was unable to match the strength of Bitcoin, which has led to ETH breaching key support levels on the way down. Bitcoin has been strengthened by hopes of imminent regulation or ETF-driven volume and it looks like investors understand this. In a previous article, I noted that the CEO of the CME futures exchange was adopting a “wait and see” approach to further cryptocurrency contracts and this realization has fed into the market through profit-taking. It’s very possible that large Ethereum investors are rotating into Bitcoin by selling their holdings in ETH and this would help to explain some of the relative strength in BTC this week. 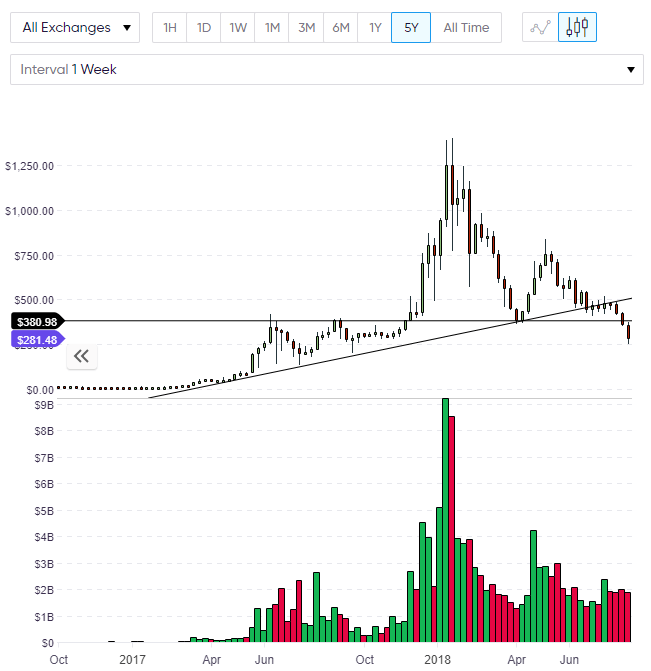 On the daily chart, ETH now has strong resistance at the previous support of $370. We may take some weeks to repair this downside move before we get any meaningful gains towards this level. An interesting development regarding Ethereum is that Facebook competitor, Minds, is now live on the ETH mainnet. Minds is an interesting development because it rewards contributors with tokens in the same way that Steemit does. Minds was established in 2015 and has lately been running on Ethereum’s Rinkeby testnet, which only uses test tokens, rather than real tokens. 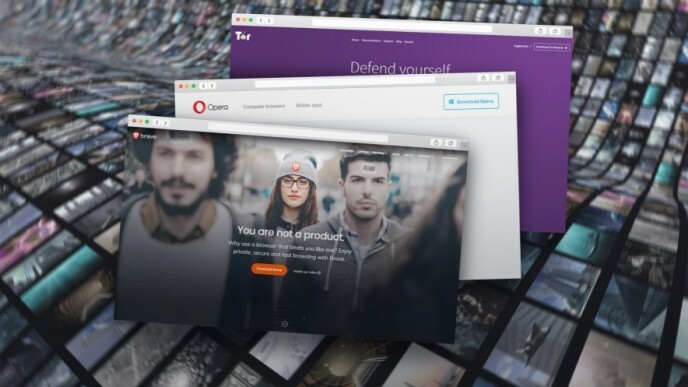 Now that the platform utilizes real tokens it may be a game-changer for the world of social media. The timing of Minds’ arrival is important because it comes at a time that Facebook has been under pressure, following the Cambridge Analytica scandal and resulting Senate hearing. Facebook’s record stock price collapse in recent weeks was driven by reduced advertising revenue but also dwindling user metrics. If social media users are finding the Facebook platform stale then a rewards-based platform would be one that sees them reinvigorated to make more effort to post content. Concerns over Facebook’s security practices would also be a driver of this and Facebook could face serious competition if minds can get its marketing and user experience right. Minds decision to stick with Ethereum could boost the coin’s valuation in the future if we see some of the huge user levels in social media transition to Minds. Because social media is now embedded in culture, the “word of mouth” potential in a platform such as Minds could spread like wildfire if Facebook users found out that their friends were being rewarded for their content. This is one development to watch in the future. I've summarized the three coins above (VeChain, Tron and IOTA) to note that they have shown a strong bounce with gains of gains of 13%, 11% and 10% respectively for the last 24 hours. In my next article, I will cover the strongest coins that rally from this sell-off and compare it to the losses they posted in the last week. Oversold coins may rally well but still look weak on a technical level.